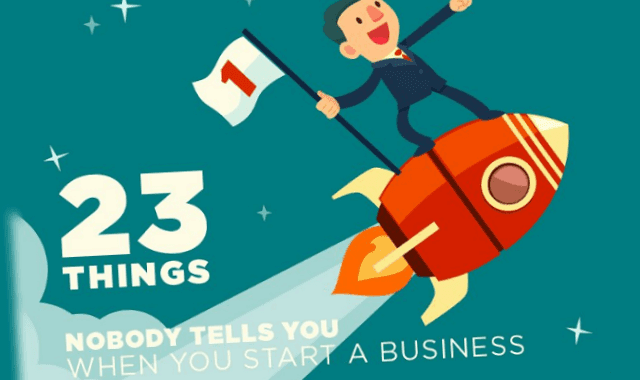 23 Things Nobody Tells You When You Start A Business #Infographic ~ Visualistan '+g+"
There is a lot to learn and think about when you start your own business, and you will no doubt have done plenty of research into it if you are planning on taking the plunge. Still, there are plenty of things that nobody tells you, that you usually have to figure out for yourself! We’ve gathered together 23 things you may not expect, so you can be fully prepared for the world of going it alone.